This post is sponsored by Crazy8 and National Geographic. All opinions are my own. Ok parents, it’s time for some fun. As our family heads to Washington, DC tomorrow to celebrate the beginning of summer, I wanted to share a little giveaway with you! Did you know that sharks have eight senses or that astronauts can’t whistle on the moon? How about the fact that butterflies taste with their feet? All true! I’m loving the new Crazy8 “Weird But True” line of National Geographic T-Shirts printed with fun and crazy facts and I’m excited to give you a chance to grab a couple shirts for free! 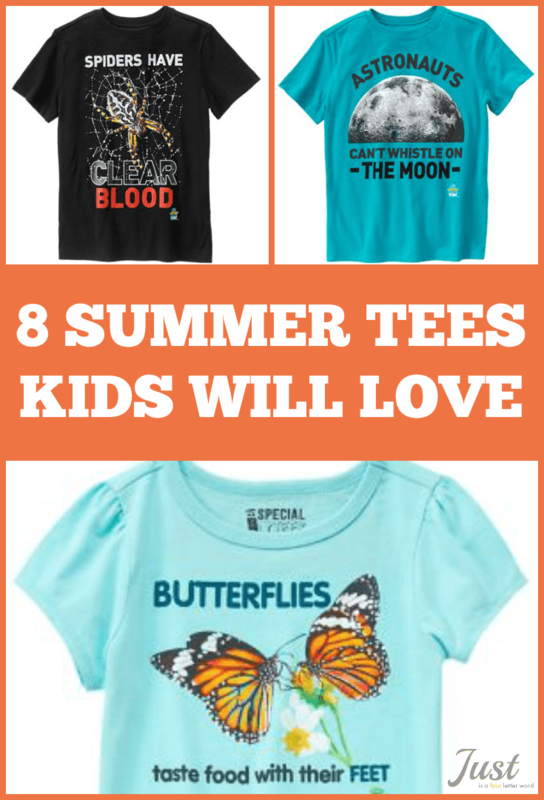 My curious kids are all about crazy information and fun facts so these shirts are the perfect addition to their summer stash. I’ve been a huge fan of Crazy8 for quality clothes at great prices for years and I’ve never been unhappy with our purchases. Even though my boys are growing up and out of the cute baby stage, I still get excited about shopping for them at Crazy8. The stuff really is that good and adding a partnership with National Geographic to the mix is icing on the cake! 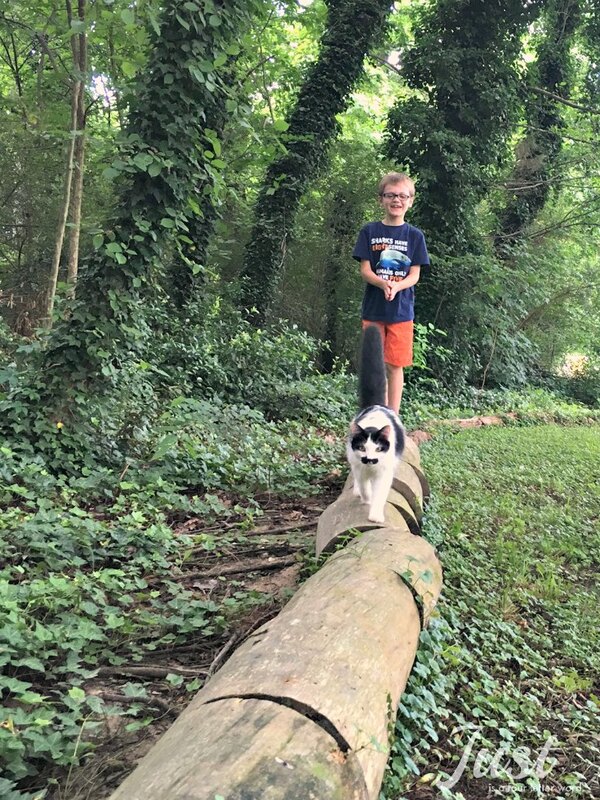 Weird But True: Our cats follow the boys everywhere! The “Weird But True” T-Shirts from National Geographic are now available online and in stores nationwide after June 3, 2016. And when you purchase a “Weird But True” shirt at Crazy8, you will also get a Weird but true! 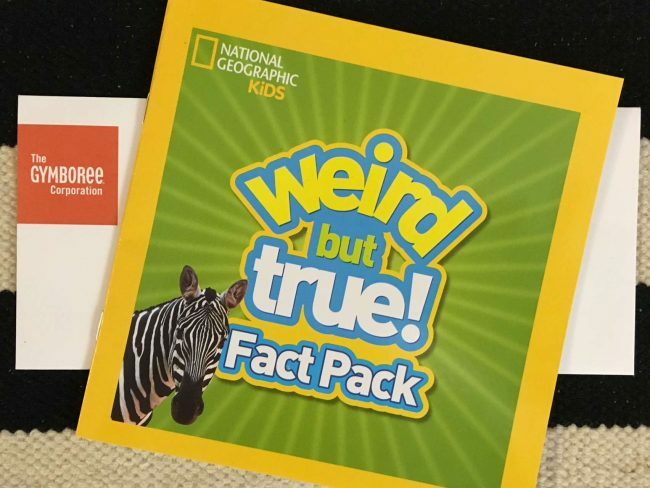 Fact Pack from National Geographic Kids (in-store only). Pretty sweet! I’m loving our shirts and can’t wait to grab a couple more! Which one is your favorite? Let me know in the comments and check out Crazy8 for more goodies. 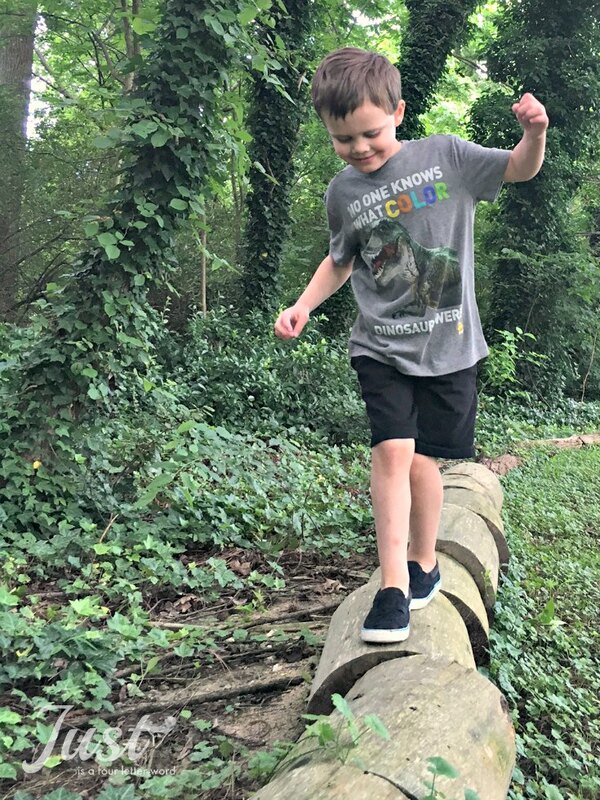 Your kids are super cute in their NatGeo Crazy 8s Ts! I love this line and can’t wait to pick out some more for my kids when they’re in stores later this week! These are great I always forget about Crazy8. Noah loves the Dinosaur shirt! So much fun in these images!!! My son likes the shark fact tshirt! We are huge fans of this brand and I love your pics! Graphic tees are so my jam and all of these are super adorable! I love the porcupine shirt. Oh I really love the National Geographic™ Shark Tee ! Our little one love sharks and would go nuts over this shirt! I like the dinosaur t-shirt. My favorite is: No One Knows What Color Dinosaurs Were. I love the Dino tee. These are so cool! I like the dinosaur one and the butterfly the best. National Geographic tastebuds tee, my little one is a foodie and would love this top! Your boys and the shirts are adorable, Andrea! W loves Weird but True! !